Do you love Pizza?! I LOVE pizza. 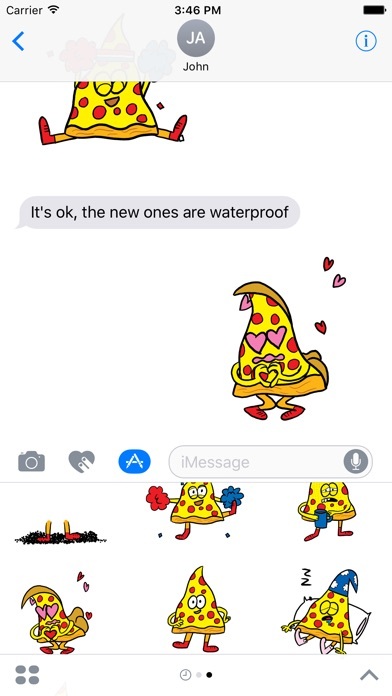 Here's 30 amazing animated Pizza stickers to share and show off to your friends on iMessage, featuring the pizza character from the Burgerworld sticker collection. You will love your new Pizza Friend! The Pizzas were drawn by Jon Burgerman, author of the picture book 'How To Eat Pizza' and were animated by Tom C J Brown and Greg Lee. Look out for 'How To Eat Pizza' by Jon Burgerman in your local book stores! Please let us know if you love these Pizzas and maybe we'll make more! Please leave a review and let us know what you think! If we get some feedback we might be quicker in making new stickers for you. 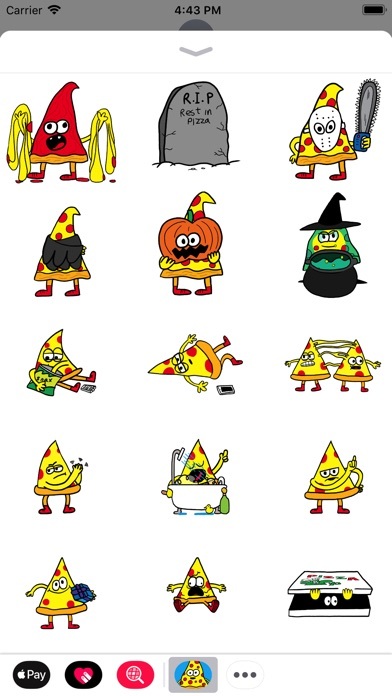 Release Notes: New PIZZA FRIEND stickers! There's now 30 PIZZA's to play with, to send to FRIENDS and to have fun with. That's a lot of pizza for a low price. Enjoy the new pizzas! 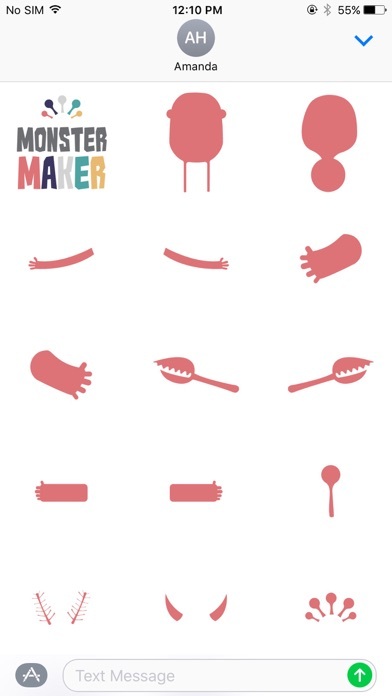 These pseudo-emoji pizza friends are fantastic. The art style is very nostalgic of the smilies from the early internet days. Very very good. 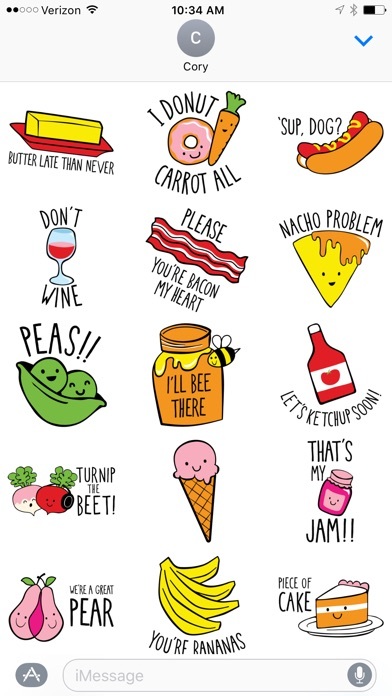 These stickers are cute, funny, and witty! I use these stickers all the time and hope they make more soon! Like the sticker app but I wish that the app would be updated to add more stickers, and get rid of the Halloween ones. These are the best stickers out there. Anxiously awaiting new ones. Awesome job. They make all of us laugh while texting each other in quite a miserable world. This is one of the best iMessage apps around. Just got it and I already love it. I can almost smell pizza around me if I think hard enough... great stuff!! This is the best sticker pack out there. Truly awesome. The new stickers are hilarious! Great work! Dude, this app is unreal. 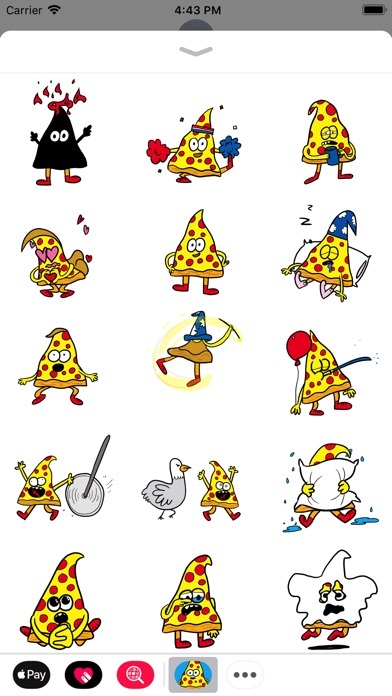 Pizza man is easily the glowing gem out of the pile of crap that is called stickers. You have to keep this going! I use pizza man in as many instances as I can. Keep doing the lords work!! Would definitely pay for more. These are too good. 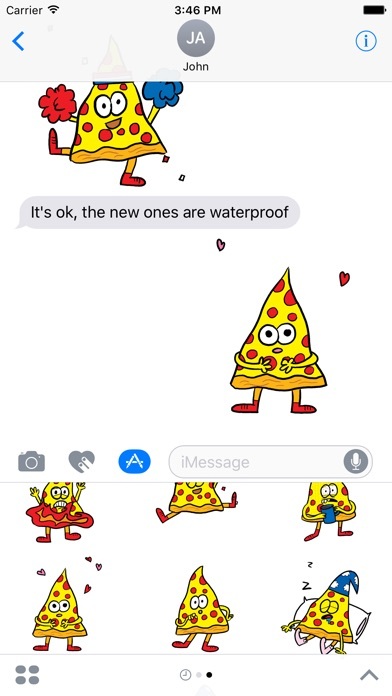 My fiancée and I love these Pizza stickers, they are so funny and sweet! Keep 'em coming! As Shakespeare once wrote, "The best sticker packs make no sense, and that's why they're brilliant." If you love pizza and who doesn't? Well these are too good to pass up! They bring smiles all around! A yummy Thank-you! I didn't know how to fully express my emotions without cheese, dough and sauce. With Pizza Friend, I feel complete. Jon burgerman is just plain brilliant! 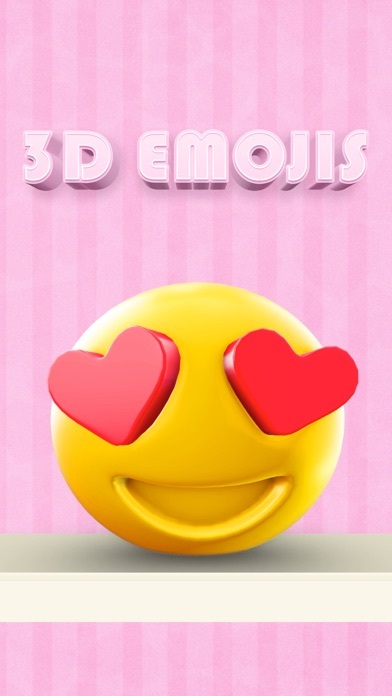 By far the best sticker pack I've downloaded. I agree, burnt pizza is my favorite too! These are amazing and I hope they add more! I have been a HUUUUGE fan of Jon Burgerman for years. I really love it when Vinnies Pizza in Williamsburg is closed because THIS PIZZA GUY is on a mural on the shutter! Haha. I love to annoy my mother with these stickers, but IDK if she knows I'm trying to annoy her because she just sends the stickers back, and then we are just in a sticker war of farting pizza hearts. Isn't the guy who animated these some like, famous mustached animator? I WOULD PAY BIG BUCKS FOR THESE BUT THEY ARE FREE. OMG. PLEASE MAKE MORE. I'm a fan of pizza friend. But there's only 8 Pizza Friends to choose from. Would it kill ya to include a Pizza Friend riding a siq wave on a surfboard? 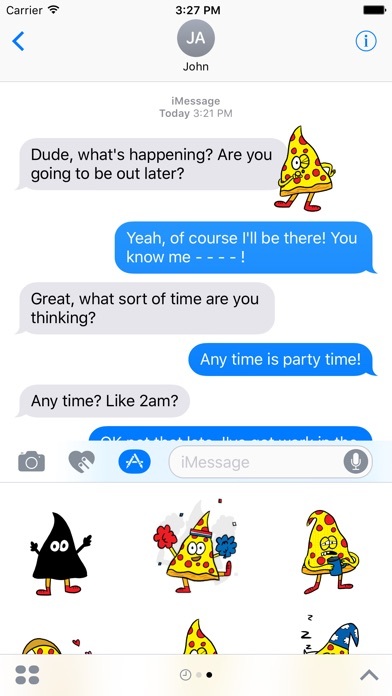 Not only does reacting to any and every message with a piece of pizza the coolest thing ever, but the stickers are even animated. The pack is free, what are you waiting for??? Who doesn't like animated pizzas!? 😹😹😹😹🍕🍕🍕🍕i love the jittery pizza guy, I have to use it all the time. Thumbs up.